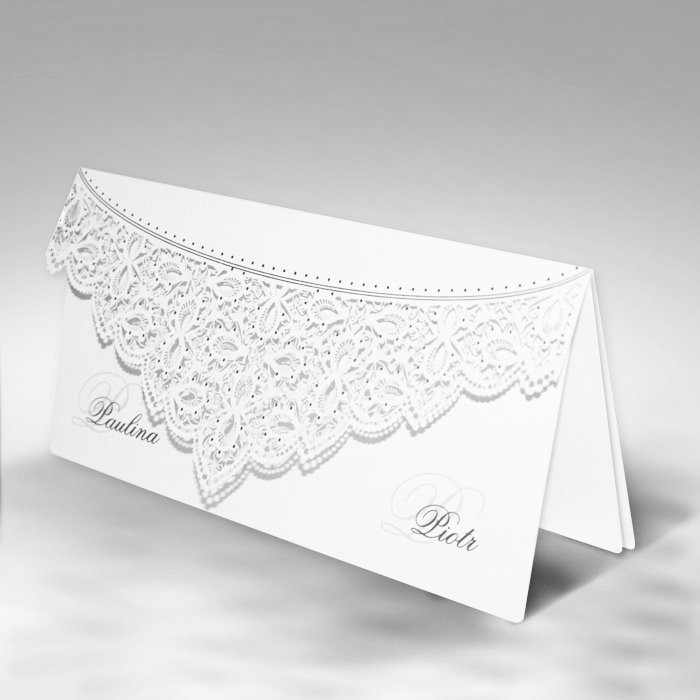 An original invitation made from white matte paper. 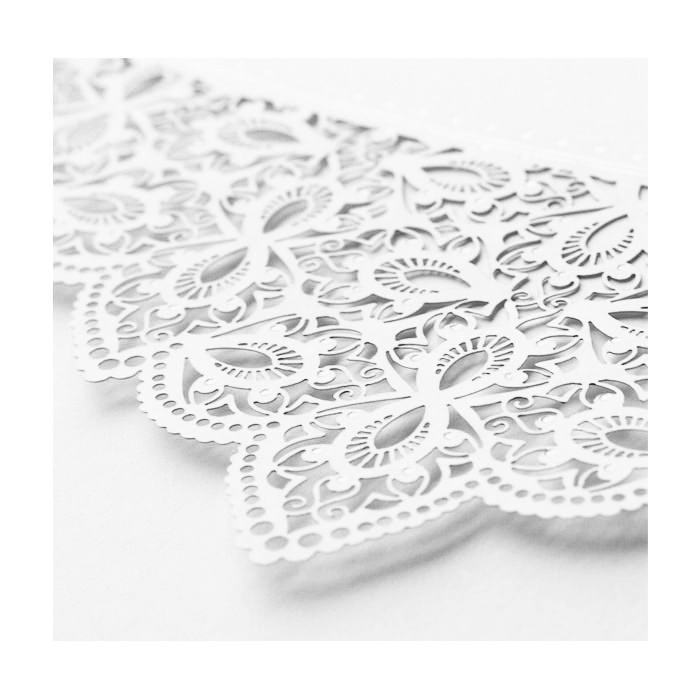 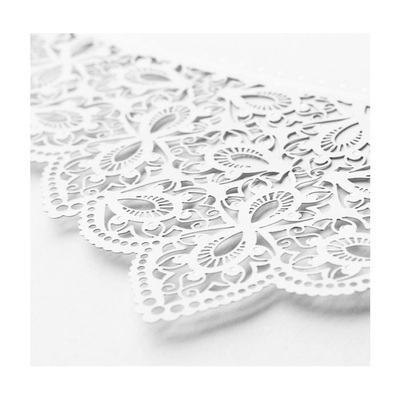 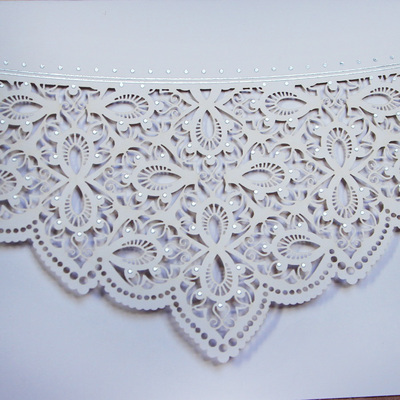 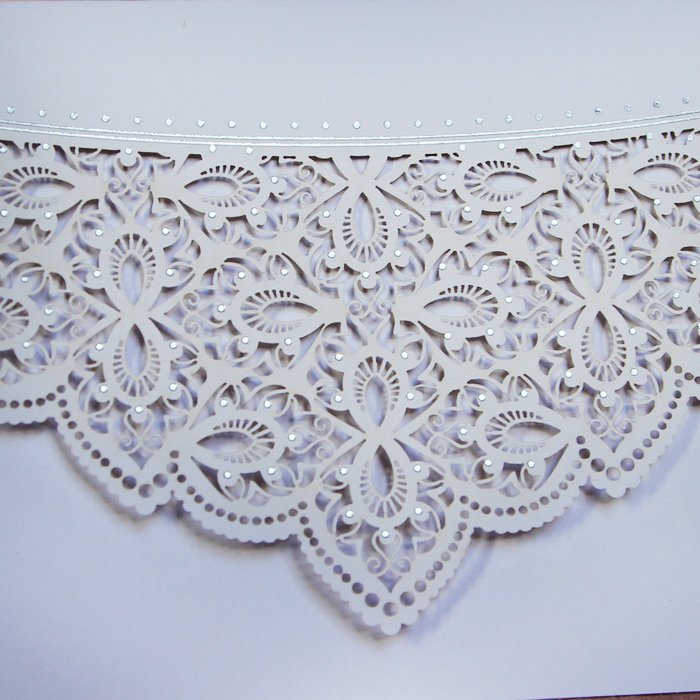 The cover is laser cut, to create an interesting pattern, which is further decorated with silver elements. 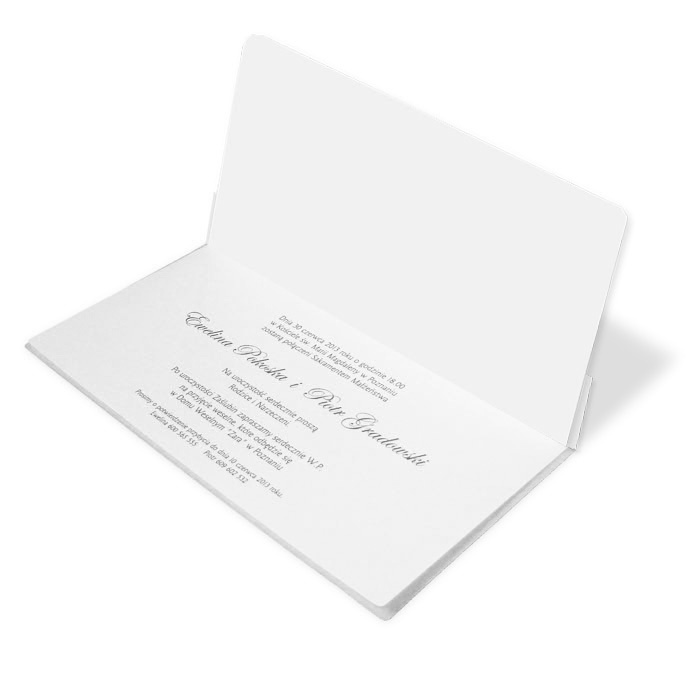 The inside is white matte. 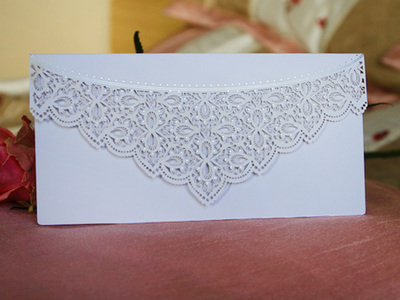 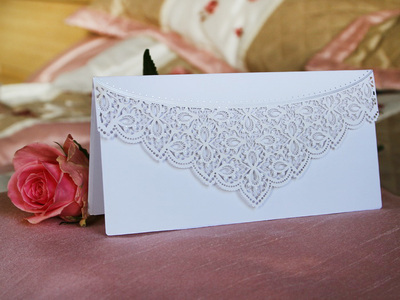 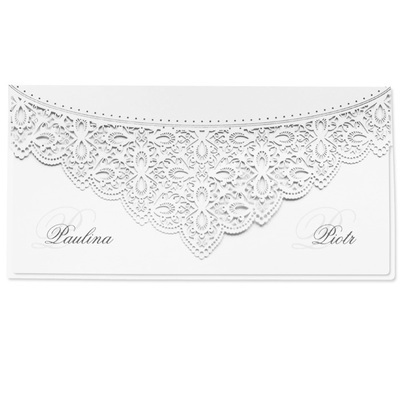 An envelope is added to the invitation for free.